Game 5: April 9, 2005: The Colt 45's jumped out to an early 2-0 lead, but couldn't add on. 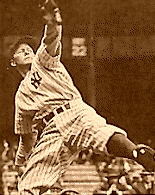 New York Giant pitcher Spud Chandler pitched a gem baffling Colt batters for the final 7 innings, of an 8-2 romp in the Giants favor. The heart of the Colt 45s lineup continues to struggle with Bonds, and Charleston going a combined 1-8 (the sole hit being Oscar's first homer of the year in the top of the first) on the night, and 7-for 38 on the year. Third baseman Alec Radcliff swiped a pair of bags one of which was a key component of the run that was scratched across in the second inning. Game 6 April 10, 2005: The Colt 45s dropped second straight on the road to the Giants in what can be best classified as a heartbreaking affair. Amos Rusie was the antithesis of effectiveness as he allowed 5 runs in 5 innings, leaving the game after allowing a leadoff dinger to The Man, Stan Musial in the 6th, which brought the Giants lead to 5-2. The 45s tied it in the 7th, on the back of a three-run homer by Futoshi Nakanishi, who was brought in the game via double switch in the bottom of the fifth. Of course reliever Don Drysdale coughed up the slim lead in the bottom of the inning, as the Giants pulled ahead 7-5. The resilient 45's fought back again in the top of the 8th – to jump ahead 8-7, unfortunately the Colt 45s left at least a run on the table, which might have ended up being the decisive run as Nakanishi lined into a double play to end the inning stranding Roger Bresnahan at third. Closer Tom Henke came in to pitch the bottom of the ninth, but he was unable to slam the door on the inning as the Giants pushed 2 runs across and give the Giants the 9-8 win. Game 7 April 11, 2005: The Colt 45s brought their hitting shoes tonight, as they gained some measure of revenge for the previous two nights disappointments. Popless George Giles, smacked a pair of dingers for the second time this season going 4-5 with 5 RBI's and a stolen base. Tim Keefe, pitched a solid game throwing 9 innings allowing 4 runs in the process. Game 8 April 12, 2005: Despite the 45s pushing 7 runs across the plate, the story of the game wasn't a hitter, but rather a hurler. John Clarkson pitched his second straight complete game, this one even more impressive than the fist, as he allowed no runs on only 2 singles, and a pair of walks and no batter advancing past second base. In this writers opinion it was the best pitched game of the season thus far. Oscar Charleston carried the offense, going 2 for 4 with a 3 run homer bringing his season average up to .297. 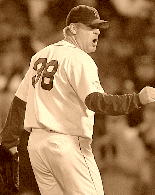 Game 9: April 13, 2005: Curt Schilling of the Mudville 9 pitched masterfully and held the 45's to two runs on 8 hits. The 45's double play combination of Dobie Moore and Bingo DeMoss, contributed 5 of the teams 8 hits, and where the key contributors to the two runs they scored in the 5th inning. Old Hoss Rabourn took the loss for the 45's allowing 5 runs in 6 in two third innings. He was not sharp. Game 10: April 14th, 2005: It took 10 innings, but 45's were able to pull out a 5-3 victory over Mudville. Embattled closer Tom Henke vultured a win from Pretzel Getzein, who pitched a strong 9 innings, in his first start of the year. 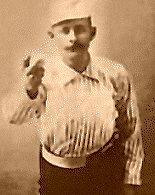 Getzein was given the ball when manager Flip Ferrell was informed by team doctor BJ Honeycutt that regular hurler Pud Galvin would be out for the better part of a month. Getzein answered the bell strong, with 9 full innings allowing only two earned runs. However, the offense left him nothing to show it, as they were also held to only 3 runs during the regulation 9 frames. 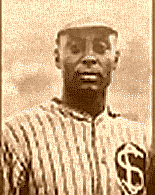 "Super Star" Dobie Moore continued to carry the teams offense going 3 for 4 with two solo shots, one in second inning and one in the 8th inning which locked the game at 3, and allowed Oscar Charleston to hit a game winning two run homer in the 10th inning to send the fans home happy with a 5-3 win for the good guys. Game 11: April 15th, 2005: Another day, another dollar – another walk off homerun by the ever clutch Oscar Charleston. The 45's were able to come from behind and versus the A's and steal the game 5-4. Amos Rusie pitched 8 strong, but was in line for the loss until Oscar stepped to the plate and sent a Quisenberry offering out of the Astrodome. Game 12: April 16th, 2005: The Colt 45's won their third game in a row today, in a 18-2 laugher. "Super Star" Dobie Moore continues to carry the offensive load with his second two homer night in 3 days, he drove in 4 on the day and is currently 5th in the league in batting, 6th in the league in slugging, 4th in the league in hits and 5th in the league in runs scored – all while being the best defensive player in the league. His double play partner has done some hitting as well. 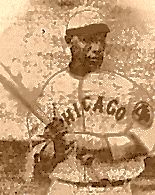 Bingo DeMoss, currently pacing the league in batting with a .511 average also leads the league in hits and is second in total bases despite only hitting one homer. Perhaps most impressively he is 6th in the league in RBI while hitting 8th. Tim Keefe picked up his second win of the year in 3 starts allowing only 2 runs and 5 hits while recording his second complete game of the season. Leadoff hitter Jelly Gardner is still mired in his season long hitting only .132 through the seasons first 12 games, there are no immediate plans to sit him or move him out of the leadoff spot. Ceasar Cedeno is the only member of the 45's active roster to yet to appear in a game. Flip Ferrell announced that Jack Chesbro will be recalled from the farm this evening to take injured Pud Galvins roster spot. Chesbro is expected to fill Pretzels spot starter role until Pud returns. 2B-Torriente, Musial, Griffey Jr., Scales. 3B-Smith,O, Musial. Temperature: 45, Sky: clear, Wind: out to left at 12 MPH. Nakanishi(1), Smith,O(1), Boggs(2), Torriente(3), Musial(3). Moore,D, Torriente, Musial, Griffey Jr. 2, Stargell 2, Dickey, Ochiai. 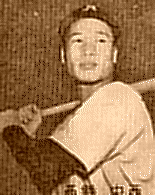 Ochiai. SH-Smith,O, Boggs. WP-Rusie, Bond. Temperature: 51, Sky: clear, Wind: out to right at 8 MPH. Stargell, Dickey, Redding. BB-Bonds,Ba, Smith,O. SH-Bresnahan. WP-Redding. Temperature: 47, Sky: partly cloudy, Wind: in from left at 14 MPH. Kelley,J, Schilling 2, Gardner,J, Bonds,Ba 2, Nakanishi. BB-Oh, Grace. E-Monroe, Jeter, Radcliff. 2B-Dykstra, Monroe, Oh. 3B-Bresnahan. Rixey, Chance,F, Bresnahan 2, Getzein 2. BB-Dykstra, Chance,F, DeMoss. Moore,D 2, Chance,F, DeMoss. BB-Charleston, Bonds,Ba 2, DeMoss 2.